A couple of weeks ago I mentioned at the end of the sermon the Church in Syria – which is undergoing the most horrendous persecution imaginable. To many of us no doubt, inculcated as we are in a secularised understanding of our faith, this may well seem to us to be little more than just another example of what is called ‘Religion’ gone bad – but is it? Or is there something far more consequential happening? For as I briefly set out last time, the Church in Syria is no ordinary Church – it’s not just another church. The Scriptures tell us that St Paul, following his conversion set out to preach the gospel in Damascus which of course is in modern day Syria, and the Church which sprang from that teaching remains there to this day. Some of the oldest Christian writings, the New Testament aside come from that Church, most notably the letters of St Ignatius, the second bishop of Antioch, whom the Tradition teaches was himself a disciple of our own St John the Evangelist. These letters were written around the turn of the first century. 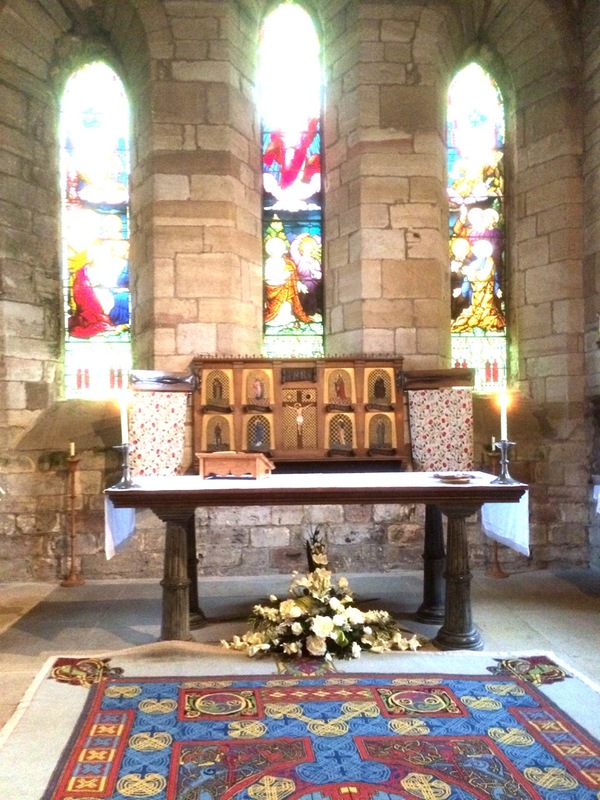 Liturgically it has hardly changed for nearly two thousand years, and its language ‘Syriac Aramaic’ is thought to be the language which Jesus himself spoke. Compare and contrast the church in much of the West – by the Way there are Syrian Orthodox in Dunedin – here Churches left right and centre are driven along by the waves of history – changing form and shape to match the current culture. Seeking to be ‘Relevant’. Over just the last 20 years or so we have seen a whole raft of ‘new forms of church’ or new movements of church – one after the other after the other – seeker sensitive church, messy church, emergent church, liquid church, purpose driven church – and I’m sure folk could come up with other multiple variants – all established on an erroneous proposition, that is we come up with a ‘culturally relevant’ form of worship – people will flock in and become disciples of Jesus . . . but actually they don’t. Which when you think about it isn’t all that surprising, firstly because it starts from a false premise, that Worship is all about the worshipper and not The One whom we Worship. Worship which is moulded to the worshipper cannot fail to be idolatrous – what is revealed is not the Living God, but the reflection of the worshipper. I remember in one of my churches a middle aged lady used to go on at length about needing worship music which would ‘get the young people in, the sort of music which young people enjoy today’. Well that is problematic 🙂 For ‘Young people’ are not a coherent group – I know some young people who enjoy Bach, others who like Garage music – a growing number it seems, although I may be wrong who have little or no interest in music at all. Whilst it is not difficult to stereotype the attitude of consumer churches in terms of the French Revolutionary who saw the mob pass the sidewalk table at which he was drinking his coffee and said ‘They are my people! I must follow them!’ in reality the situation is even more absurd than suggested by that example. One who seeks to follow culture, be it musical or otherwise, is going to find not one, but a plethora of mobs going in 101 different directions – and consequentially following the one that most mirrors their own prejudices. Church in our own image. The Antiochene Orthodox Church should give we Western Consumer Christians pause for thought. They have lasted 2000 years without seeking to ‘get with it’ – in modern terms wwe might call them anachronistic, for they are utterly irrelevant – yet it is they who are the focus of yet another wave of terrible persecution, one which unlike any previous may possibly lead to their extinction. Apparently the only way their light could be extinguished through murder, sometimes crucifixion – bearing eloquent witness to their Lord, for whose sake they have lost all things. Which brings us to our Lord Jesus HImself – who shows what is to our eyes a remarkable disinterest about accommodating himself to his hearers, rather unflinchingly calling his hearers to shape their lives to his. Over and over and over again in the gospels, we hear Jesus speaking words which seem almost to be designed to drive people away. He says that he speaks in parables so that people ‘may not understand’!! He goes on ‘none of you can become my disciple if you do not give up all you have’ – the sort of saying which left St Ignatius, even as he made his away across the East towards his martyrdom in Rome questioning whether even he, who had sat at the feet of St John was truly a disciple of Jesus. How nonchalantly the modern Christian assumes that he or she is a follower of Jesus . . .
Or again the encounter of Jesus and that young enthusiastic man – ‘What must I do to inherit eternal life?’ He says he has kept all the commandments – he’s kept his nose clean and led what to his surrounding society looks like a ‘good life’ – but Jesus tells him, if you truly want to be healed, sell your possessions and give to the poor, then you will have treasure in heaven, and then follow me . . . and he went away sorrowful for he had many possessions. And Jesus turning to those who were following him told them ‘truly I tell you – it is harder for a Rich man to enter the Kingdom of heaven, than it is for a camel to pass through the eye of a needle’. The one thing Jesus didn’t do was run after him and try and change his teaching to adapt itself to the young man. Actually his teaching was perfectly adapted to him – he gave him the Truth – for He is the Truth. Or Jesus response to the question ‘Lord will only a few be saved’ responds saying – ‘Make every effort to enter in at the narrow door, for many will try to enter and will not be able’ – how alien these words sound to our understanding of Jesus – it perhaps is not going to far to say that we imagine saying, ‘broad and easy is the way that leads to life and many their are that find it – for after all, all that is required is that we are true to our own version of the truth – but hard and narrow is the way that leads to destruction, because after all, most people are good . . .’ We find the words of Jesus an embarrassment and give people almost the directly opposite message. We think the words of Paul about fighting against powers and principalities odd – hey Paul! Dont be ridiculous mate – what’s all this about the quenching the flaming arrows of the evil one?? That’s SO medieval . . . and in smug contentment at our modern way of looking at things we stroll away, and from somewhere we hear muffled laughter . . . But Jesus is not listening to Satan, Jesus caps of his unpalatable [sic] teaching with these words – Just as the living Father sent me, and I live because of the Father, so whoever eats me will live because of me. Jesus seems curiously unconcerned with trying to put the message in terms that are easy to take on board – Rather he confronts us with the Truth and once more we see Jesus as the Church Growth Failure he is, with his stubborn refusal to ‘get with it’, to be ‘Relevant’ When many of his disciples heard it, they said, “This teaching is difficult; who can accept it?” And Jesus’ pastoral response?? You think This is difficult to accept??? This is just the beginning!! Jesus, being aware that his disciples were complaining about it, said to them, “Does this offend you? Then what if you were to see the Son of Man ascending to where he was before? It is the spirit that gives life; the flesh is useless. The words that I have spoken to you are spirit and life. This message you reject – my words are Spirit and Life . . . But among you there are some who do not believe.” For Jesus knew from the first who were the ones that did not believe, and who was the one that would betray him. 65And he said, “For this reason I have told you that no one can come to me unless it is granted by the Father.” 66Because of this many of his disciples turned back and no longer went about with him. From 5000 to . . . 12 . . . nice work Jesus . . . but he hasn’t finished. “Do you also wish to go away?” For he knows that amongst the few who are left is one who will betray him, one who will deny him. Peter at least speaks the Truth we all need to hear and know deep within our hearts – “Lord, to whom can we go? You have the words of eternal life. None will be saved without at first recognising this Truth, That Jesus body is Real Food, That Jesus Words are Words of LIfe – however much they seem pointing in exactly the opposite direction – for the way to Life is through our dying to ourselves, The way to life is through the Cross of Jesus and our taking our own up in self denial – try and sell that as an idea for a new church . . . So much if not all of this contemporary frenzy with ‘new forms of church’ has one root and it is a Rotten root. The root of ‘we must do something to survive . . .’ But the way to Life is only found in and through the Cross of Jesus – through our dying to ideas about relevance or 101 other deceitful messages whispered in our panicking ears . . . Through the Cross comes Life. As Jesus looks at the 12 he knows that one will betray him, one will deny him, and nine who will forsake him. At the Cross, the only disciple is John . . . At the Cross Jesus says to Mary his Mother about John, behold your son – and to John, behold your mother. It is the disciples who goes to the Cross, who becomes the seed and pillar of the Church, the body of Jesus Christ. The Way of Jesus has nothing to tantalise our consumer sated appetites. It has no USP – like its Saviour there is nothing in her that we should desire her – the Church that bears his name has no business chasing after the herd of cats that are our modern consumer preferences. The Syrian Orthodox Church does nothing to draw the crowds, it never has – yes it does send out missionaries – and today there are from that first church 4 million believers world wide, even here in Dunedin!, but it has done nothing to adapt itself to the world around – rather by patiently and at times such as this, under fierce persecution, worshipped God in Jesus Christ through the Word and the Sacrament, Words of Life and the Bread of eternal Life. It has not turned to left or right, but rather enduring, to the end, faithful perhaps to The Very End. Perhaps one of the more significant things that we have to wake up to as the Church in these times, is the realisation that we do not know how to think as Christians. Not that Christians cannot think, but that when they do they largely do so in exactly the same way as people amongst whom they live. Indeed we may well be surprised to hear that their may be such a thing as Christian Thought at all. To begin to think Christianly is as I suggested a few weeks ago to have our imaginative world Filled by the Reality of Jesus Christ, Crucified, Risen and Ascended. In other words to see Reality only in terms of that which it is, the realm over which we declare Jesus Christ to be Lord to the glory of God the Father. As I recently pointed out, for many many years this was precisely how the Church did its thinking. And as a result developed ways of speaking of God in Christ, and being the Church. We call these The Tradition – and they include the Catholic Creeds, the teachings of the Church Fathers and certain ways of doing and being church. As a shadow of the One who was to Come, Solomon, the son of David by Bathsheba, prayed for Wisdom. Christ in his coming IS the embodiment of Wisdom – and the Church as His body, as it grew Grew in Wisdom. The teachings of the Church and the Creeds being the embodiment of that Wisdom, the Holy Spirit leading her into all truth as Jesus said. A very simple example of that was the way in which the Early Church Fathers understood the significance of our bodies for our Life in Christ. This to us may well sound very strange. We imagine Christian Faith as a set of ideas. That Faith might have a bodily aspect seems a little odd to us. Yes we might be able to understand that we need a body to live out our faith in. After all if you are going to share your bread with the poor, you need hands to do it with – but children of the Enlightenment that we are, we tend to understand that we are chiefly our minds, and that all that is happening when we feed the poor is that our faith – in our head, or brain – directs our inanimate body in a certain way. Now certainly that is in part true, but it is a very shallow understanding of the truth of the matter. Our forebears understood these things far better than we – indeed they understood everything it often seems to me, far better than the best of us ever shall. We have traded Wisdom for the riches of the world, we have eaten afresh of the Knowledge of Good and Evil – and the Church in the West has withered as a result. But lets come back to that issue – that of the body and its place in our Salvation. A few weeks ago I was with someone who in passing had told me that his life was so full of appointments and busyness, that he had little or no time to be fed – he was not studying the faith, or spending long hours in prayer with the Scriptures. As it happened I spent the morning with this man and later that day something struck me – which was that in the time we were together he had eaten two large meals. Now we might have thought nothing of this . . . but the Fathers, those early teachers of the Church would have instantly seen a connection, which came to me later that day and which I passed on to him. Which was this – that the Body and the Soul are so intimately connected, that if the body is full of food, the Soul is left hungry – for to be full is to be full, and if we are full of food, there is no room for the Spirit. My friend was substituting bread that perishes for the bread that one may eat and live forever. 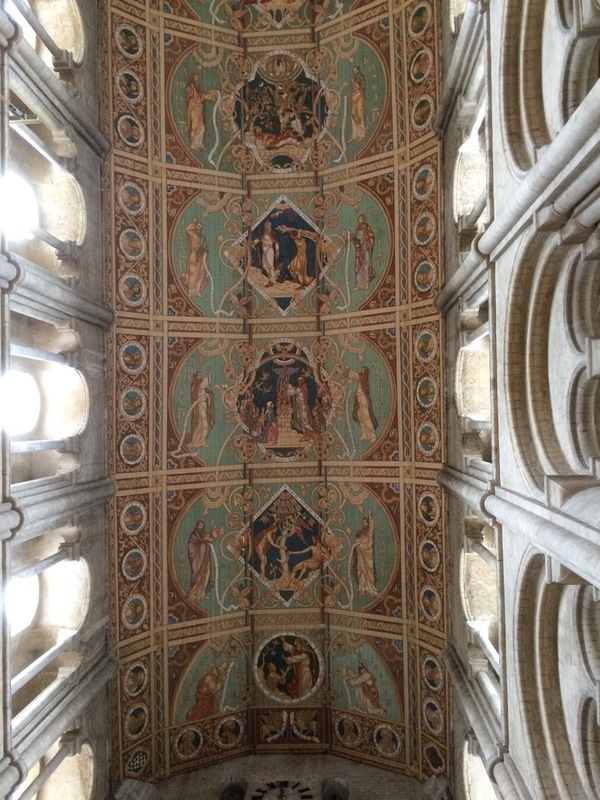 Having a full belly led to a contentment which made us slothful in prayer – I passed this insight on and told him that in part I recognised it because it was a discovery I’d made about myself. That if I’d had a large meal – my sense of the Spirit of God, my desire for reading the Scriptures, my thirst for study of the Traditions, and above all, my hunger for Christ was blunted at best and all but killed off at worst. This of course was no news to those of the Old faith – they knew these things intimately, indeed it was my reading the Fathers that alerted me to this and brought me to myself in this respect. Regular, not dramatic, gentle fasting – was a part of their discipline of faith, for they knew that to be physically full led surely to spiritual emptiness . . . Which of course leads us to the greatest challenge to us as a Church in this place and this time, that we are very comfortable – yes we grumble a little if some suffering common to all people comes our way, but generally we are comfortable. The words of Jesus – ‘woe to you who are well fed now’, at best bounce off deaf ears, at worst are reworked so that they mean something completely different and we don’t have to be discomforted by Jesus himself. And yes I do mean it that way – it is better not to have heard, than to hear and twist the words of Jesus . . .And if we don’t want to pay attention to Jesus, he will not force himself upon us. So to return to where I started, thinking Christianly for a start means listening to the Wisdom of the Tradition. Why is the Church falling asleep? Because she is too well fed on food that perishes, and busy lives – and because she is too well fed, too full, she has all she has and imagines, if she would never say it out loud that she has no need to pay attention to Jesus. And he withdraws, he shakes off his sandals – after all, in our words and deeds we are making it clear, ‘We don’t need Jesus’. As I said last week – I was recently at a Church conference where the Board in charge of this aspect of the Church’s life had produced a list of words to express the heart of what we are about – Jesus was totally absent from that list . . .
We are whole beings – Body, Soul and Spirit. The Spiritual and the Physical are interwoven and affect one another intimately. The Gospel reading today comes towards the end of a lengthy dispute between Jesus and those who have come looking for him. Immediately before it he has fed the five thousand – and now the crowds come after Him, but as Jesus discerns ‘Very truly, I tell you, you are looking for me, not because you saw signs, but because you ate your fill of the loaves.’ . . . but that bread perishes – just as your physical body will perish. You eat, you are full, your belly empties, you are hungry, but you keep going back to the bread that does not satisfy – it keeps giving out – and eventually it will give out for good. The sheer fact that physical food keeps giving out on us is a sign that there is some other food!! Do not work for the food that perishes, but for the food that endures for eternal life, which the Son of Man will give you. Like myself and my friend the other day, we fill up over and over with food that perishes – yet we do not work for the food that endures for eternal life. To put it most sharply – we substitute the temporary fulness of food, of busy lives which only serve to bolster our sense of self importance – we substitute these things that are passing away for the very Life that Jesus offers. Jesus Christ is our Very Life. What can we say of a Church body which in a hundred separate words does not once mention Jesus when it speaks of ‘the heart of what it is about’? It has surely found some substitute – it is not hungry for the bread that endures to eternal life but satisfied with that which perishes . . . and so it perishes. As I said last week, Christian Life is not a ‘way of life’ – nor is it a set of moral ethics or virtues – indeed the Romans saw this clearly and denounced it as not even being a religion! No it is none of these things – it is Life itself in the One who gives himself to us in Word and Sacrament. We feed on Him – He is our Life. This is why we should always come to the Eucharist – not with full bellies as those Corinthians whom St Paul denounced did – but Hungry. Hungry for the Word of Life – This is my Body – This is my Blood. St Paul’s words as he writes to the Ephesians sound ‘too spiritual’ for our ears Be careful then how you live, not as unwise people but as wise, 16making the most of the time, because the days are evil. 17So do not be foolish, but understand what the will of the Lord is. 18Do not get drunk with wine, for that is debauchery; but be filled with the Spirit, 19as you sing psalms and hymns and spiritual songs among yourselves, singing and making melody to the Lord in your hearts, 20giving thanks to God the Father at all times and for everything in the name of our Lord Jesus Christ. I’ve just been reading yet another of those seemingly endless and interminable articles in the ‘Christian’ media on ‘why it is so hard to love ourselves . . .’, and consequently teaching us to learn to do so, in the hope that eventually we might love ourselves and then love our neighbours . . .
Brothers and sisters, heaven cannot wait. Do we have enough food to eat today? Do we know of anyone who doesn’t? Do we have enough clothes to keep you warm and protected from the elements? Do we have sufficient money etc to live in a house that is warm? Do we know anyone who doesn’t? Share what we have with them so that they also may be warm – indeed we might even welcome them into the warmth of our house – it will cost nothing – we may even find new friends and thus break the cycle of our narcissitic isolation which leads to the sort of articles we waste our time writing and reading. You see, we love ourselves enough to make sure that we take care of our basic needs – this is the embodied understanding of love which the entire Scripture points us to in Christ who loves us in the flesh, by the giving of his body. We have food and clothes and warmth for today, and tomorrow, and day after day after day – we love ourselves so much, we even have planned for years down the line . . .
Value-Free Christianity . . .
A couple of weeks ago we thought about the proposition ‘God loves us too much to give us what we want. . .’ and I ended with the reason that God desires to give us his very self, but we desire far lesser ends. We seek a comfortable life, or one thing or another. Things that in themselves are not bad, for all God creates is good, but things which fade into the background when we See who God is, in and through Jesus Christ. To rework something CS Lewis wrote – we choose to be content playing with mud pies in a slum, when a life at the Seaside is offered us. God in Jesus Christ has given us his very self – we might well say, there is nothing else God can give us, for he has given us all he has in Christ Jesus. He has given us his Son, he has given us his LIFE. Last week we pondered how God in Christ has descended to the very depths of all that is, and then ascended to far above the heavens – that he might fill all things and in that filling all things he might sanctify them, so that with the eye of faith, the eye that has seen the self emptying love of God in Jesus Christ -‘whoever has seen me has seen the Father’ – sees everything in the Light of Christ. This is one way of expressing what it means to walk in the Light. It is as if we look out at creation and everywhere we look and everyone we see has a large flag stuck out of their head saying ‘belonging to God the Father in and through Jesus Christ’. To see with the eye of faith is to see the world as it is – to see that Christ fills all things. So with the eye awakened by faith we See Christ in and through all that is good. We see The Good, in and through the good. Our failure of faith is to confuse the good, with the Good, the Creator with the Creation, that sets off the insatiable fires of hellish longing, ‘if only I had. . .’ when God has given us all he has, himself. As most folk know, there are a couple of ‘significant’ wedding anniversaries amongst us this weekend – and marriage provides us with a model for this seeing. For in the Self giving of husband and wife – we See through that to The Self Giving of Christ to the Church as St Paul so fully sets it out in Ephesians. Marriage is like everything good a Sacrament of God’s self – giving. And this passage is worth quoting at length in order to make her holy by cleansing her with the washing of water by the word, so as to present the church to himself in splendour, without a spot or wrinkle or anything of the kind—yes, so that she may be holy and without blemish. In the same way, husbands should love their wives as they do their own bodies. He who loves his wife loves himself. For no one ever hates his own body, but he nourishes and tenderly cares for it, just as Christ does for the church, because we are members of his body. ‘For this reason a man will leave his father and mother and be joined to his wife, and the two will become one flesh.’ This is a great mystery, and I am applying it to Christ and the church. Each of you, however, should love his wife as himself, and a wife should respect her husband. Note what St Paul says, This is a great mystery and I am applying it to Christ and the Church – each of you however should love his wife as himself. In other words the good of Christian marriage, points beyond itself to The Good – which is Christ and his selfemptying love for the Church. Now lets follow this a little further . . . lets imagine that in a marriage, a husband only loved a wife because of what she did for him, or gave to him. Put another way, if it wasn’t for those things there would be no love. We would say and rightly, that in a true marriage, it is the Self giving of the person which is the foundation, apart from which there is no marriage. The husband gives himself totally in love to his Wife, and the wife gives herself totally in love to her husband. Now of course the things the husband does for the wife and vv may be expressions of that self giving, but at the heart is the desire to give yourself totally to your spouse, to become one flesh. In other words, no other person will do. Someone else could well serve you in the same way, but it is the person who is fundamental and in a real sense – someone else could not serve you in the same way. 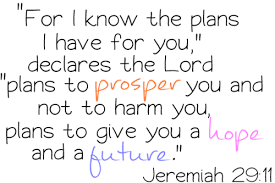 So it is with God and the things of God. It is in Loving God in and for himself, that the good things he give come into proper perspective. But if we do not love God, then the Things the good things assume a false significance. They loom in our imagination – our imagination is filled with things, not full of the vision of Christ himself, a vision which gives the things a radically different dimension. The things become idols, and lead us not to Life in its fulness but to death – we chase after the things for love of them, not love of God. We desire marriage, not for the sake of Christ, but for itself – and thus marriage loses its meaning, for it as with All things, are given precisely that we might know Christ – for to know him Is eternal life. Put another way, because Christ Fills all things, we can only know the Truth about anything in so far as we Know Jesus Christ . . . Apart from the Intimate Knowledge of Jesus Christ – Knowing Him and seeking to Love him – the idea of Christian Values is meaningless. When you read the accounts of the Early Church, you realise that they seemed as it were to be straining at gnats from our perspective. Why, WE might ask does it matter at all what we think about God?? Heresies and conflicts over heresies were always about what seem to us to be very minor and obscure matters, but as I suggested last week, perhaps, if we are not as a starting point seeing the world around us in and through Jesus Christ, perhaps it is our perspective that is skewed?? As I said last week – He fills All things – so to speak or think of anything apart from him is not to know it at all. One cannot Know anything about the Christian Virtues apart from Him – for He HImself is the centre of all things and in him all things hold together. Apart from Him they fall apart. Here I think we suffer from the modern account of ‘Religions’ in which Christian existence is but one of many – but what is utterly unique about Jesus is this – he is the only one who says All that I say and do has but one purpose – to point to me, so that you might Know God and thus Know the Life He desires to give, his very self. And this teaching of Jesus comes to a single focus here in John’s gospel ‘I am the living bread that came down from heaven. Whoever eats of this bread will live for ever; and the bread that I will give for the life of the world is my flesh.’ I am the Living Bread that came down from heaven – I am the Life and Light of the World – I am the Good shepherd. Over and over and over again the teaching of Jesus turns out to be teaching about Jesus, and through Him that we might Know God. In fact Jesus sharpens the focus even further in the Gospel for next week – ‘Very truly, I tell you, unless you eat the flesh of the Son of Man and drink his blood, you have no life in you. 54Those who eat my flesh and drink my blood have eternal life, and I will raise them up on the last day; 55for my flesh is true food and my blood is true drink. 56Those who eat my flesh and drink my blood abide in me, and I in them. 57Just as the living Father sent me, and I live because of the Father, so whoever eats me will live because of me. . . .
Why do they leave? In a sense because it is utterly outrageous – offensive even to our modern sensibilities – that Anyone might claim to be the Bread of heaven – that anyone might say ‘whoever eats me will live because of me’ – and of course it is utterly outrageous. If we are searching for values, for ‘a better way to live our lives, then the bookstalls, the internet, the world is full of people offering advice – and you can patch together a pretty reasonable existence out of it . . . but to find our life in Jesus Christ is . . . well it can only be known in Knowing Him. We live in a time of seemingly unending persecution of the Church – it is very much as if we are at the end of days. More Christians died because they were Christian in the C20 – already the C21 looks as if the bride of Christ is being butchered once more and now right down to the root, as our brothers and sisters in Iraq and Syria are beheaded and crucified in their hundreds if not their thousands. There in the world’s oldest churches, places where unbeknownst to us the church has worshipped for almost two thousand years without a break . . . there above all, there is no talk of Christian values – only Christ. 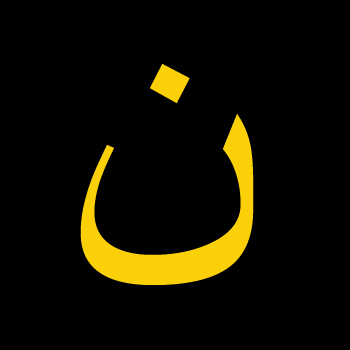 On their doors, the IS militias paint this symbol – that of the Nazarene – the title of those Christians – a title of scorn – the very name they gave Christ in Matthews Gospel – ‘and he will be called a Nazorene’. In Life and in death bearing the name of the one who died for them, and is their life. No talk of values, just Christ. In Life and in death – for He has given His all for them, and He is their Life. This joke, which I first heard in an Anglicised form – (Squirrel replacing Kiwi) – at theological college, is interesting, in that if jokes are translatable within cultures, and we told it to a Christian of the Middle Ages, they wouldn’t See the joke . . . for undoubtedly Christians for the first thousand or so years of the Church’s history had a different way of speaking of the Reality of their existence – in that they might readily speak Christianly of any manner of things, and that it would seem utterly normal and entirely unforced to speak of any aspect of the created order, and Jesus Christ in the same breath. That there was no dimension of life which we could begin to speak about in Truth, without beginning with Christ . . . That there was no dimension of life which we could begin to speak about in Truth, without beginning with Christ . . . That Jesus Christ was the key to understanding the True nature of Everything, Everywhere, and for all time – and that apart from Knowing Jesus Christ, one was as it were blind to the world . . . And if we see the world in that way, then perhaps we don’t get the joke? Well I’ll come back to the Kiwi Jesus in a few moments, but let’s move on to the Confession. And for once, sorry to disappoint, it’s not one of mine. Rather the Confession of David, which may seem every bit as odd to our ears as the Kiwi Jesus Christ, and indeed perhaps to us at least, outrageous, but for precisely the same reasons. We pick up the story from last week, as we remember – David – quietly humming Crimmond, ‘The Lord’s my Shepherd, I’ll not want . . .’ wanders onto the roof of his palace, and . . . Oh Hello!! !’ David sins, taking the wife of another man, and when the consequences of his actions begin to appear, he compounds his sin by having her husband murdered, and then taking her as his wife and she bears him a child. David we remember stands for all of us Western Consumers with power over so much, and no thought for the consequences – He sees, He LIKES, he sends (he uses a servant – we moderns perhaps use the internet) – and he takes . . . But for David, unlike us, the consequences of his consumer habits are visited directly upon him, and that swiftly. David is rudely awakend from his premise that He is the centre of the universe, and REALITY smacks him in the face. ‘the thing that David had done displeased the LORD’ Davids ability to send and to dispose depends utterly on his knowing that he is the Servant of the LORD. The one who Sends, the one who sent ‘a man named John’, the One who sent the One whom we are commanded to believe in. Well if talking about the Kiwi Jesus Christ was ridiculous, and silly to our ears – surely this is outrageous!!! What is more it is amplified in David’s Psalm of penitence which we recited together – ‘Against you, you only have I sinned, and done what is evil in your sight’. What about Bathsheba? What about URIAH!!! Then to make it worse, Nathan goes on, ‘Nevertheless, because by this deed you have utterly scorned the Lord, the child that is born to you shall die.’ And for those who can only interpret the Sunday School teacher in terms of religious naivety and silliness, it would be hard for them to hear the judgement pronounced upon the innocent child and not think of The LORD as some capricious deity, who lashes out at the innocent . . .
A Joke, A Confession, and a Question . . . Why as Christians – as those who in Baptism are included in Jesus Christ – should we have a concern about the Created order?? Now just ponder that for a moment – and if you have an answer, what place does Jesus Christ play in it? What does it mean to believe in Jesus Christ in terms of the ecological collapse we face?? What does the Creation have to do with Jesus?? As some of you know I have an interest in Climate Change and the impact of the human on the Created order. And so I have read many books on it by ‘Christian’ Writers, but rather strangely, Jesus is all but absent from them. Almost without exception they read the same if written by someone other than a Christian, of any faith, or none, except obviously ‘God’ gets a mention, but not Jesus. Which is troubling. If Jesus Christ is the centre of God’s self revelation – if as Jesus tells us, ‘the work that God gives is to believe in Him’. If THE Work that God gives us is to believe in Christ . . .
And so Paul again this time from our epistle this morning When it says, ‘He ascended’, what does it mean but that he had also descended into the lower parts of the earth? He who descended is the same one who ascended far above all the heavens, so that he might fill all things. So back to our medieval friends . . . how we damn the medieval era, turning into a term of abuse . . . and yes there were things that were wrong, but brothers and sisters, human action would not have wrought the devastation we wise moderns have caused – because to look upon the creation was to see it in Sacramental terms. God in Christ had taken the Creation to himself, and as to wound our neighbour was an offence against God, so too to wound Creation, for was not Christ Sacramentally present in the materiality of bread and wine?? Had not God in Jesus Christ taken hold of all things?? Was he not Sacramentally present in the person who hungered? Was he not Sacramentally present in the very dirt of the ground, he descended into the lower parts of the earth . . . The medieval imagination would not permit for example ploughs driven by more than a couple of oxen, for the very ground was to be treated with reverance, after all were we not made from mud oursleves? Did not Jesus Christ take on the dust of which we are made?? Not that he WAS those things, – but that apart from HIm, theuir true nature could not be known. That we might seek to release all the energy we could possibly do to extract every last ounce of everything from it, and then to fill the gaping wound in the earth with the detritus of our madness, would be understood for what it is an offence against Christ himself . . .
That, in a very sketchy outline is the Truth about the Creation and our lives in the light of it. That is why if the Sunday School teacher was perhaps hoping that the answer might have really been Jesus, he or she was groping towards some truth which the church has known since the beginning, yet has forgotten. And why David’s Confession is Truthful, against you, you only have I sinned, for in sinning against my neighbour, I have sinned against you O Lord, for you in Christ fill all things. I was blind and I did not see you . . .
And the child?? There is a line of thought which some Christians fall into when seeing the death of the innocent – that somehow in the mysterious purposes of God it is ‘necessary’ as ‘God works out his purposes and we are drawn as humanity deeper into the truth of God’ That brothers and sisters is Blasphemy . . . no, the child dies because our actions have consequences. That in losing sight of the one for, through and too all things are made – the one who fills all things – we lose sight of the reality of our very existence and becoem as blind bulls in shops of the most delicate china. Yes, we may well come to our senses, see what we have done, and repent of destroying the created order, but the innocent will continue to die as a result of our consumptive madness. We were called to live our lives in the light of Christ who fills all things, we chose not to and the consequences were and are visited upon the countless innocent. But has God no answer to this?? Indeed he does, His answer is the One who inhabited the dust of our lives, the Innocent one who died for the sins of the World, who stepping down so far taking up the lost and the last and the weak and poor and those who die for no fault of their own. God will see that they are recompensed and more than fully, for he raised Him who stepped down into the depths to the highest place, and feeds those who hunger because of our refusal to share, and gives abundant life to those who die in their powerlessness – for he gave up all power, he hungered and thirsted . . . and as The Innocent One – assumed all the innocent in His death and was raised with them . . .